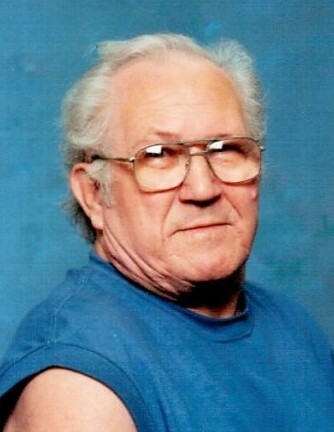 Daniel Hopkins, age 77 of LaFollette passed away Thursday, August 23, 2018. He attended First Independent Missionary Baptist Church. Daniel enjoyed spending time with his family and friends. He also enjoyed going to church when he was able. He is preceded in death by parents Theodore and Dora (Starrett) Hopkins; wife Willie Marie Hopkins; sisters Nell Hopkins, Lissie Johnson, Erma McNeely, Katherine Campbell, and Lillie Hopkins; brothers Theodore Hopkins and Don Hopkins. He is survived by son Danny Hopkins of LaFollette; daughters Dana Foust & husband Daniel of LaFollette, Jamie Williams & husband John of Scott County; grandchildren Cassandra Fox, Gage Foust, and Hunter Foust; great grandchild Taylor; brother Sam Hopkins of Knoxville; a very special friend, the love of this life, and caregiver Goldie Cox of LaFollette; several nieces, nephews, and relatives. Visitation will be 5-7 PM Saturday, August 25, 2018 in the chapel of Martin Wilson Funeral Home followed by funeral service at 7 PM with Rev. Don Whited officiating. Friends and family will meet 2 PM Sunday, August 26, 2018 at Bakers Forge cemetery for the interment. The family would like to send a special thank you to the staff of Cumberland Village Nursing Home and LaFollette Medical Center.